The Deux Chevaux Club of Great Britain – affectionately known to all as '2CVGB' – was founded in 1978 by and for owners and enthusiasts of the Citroën 2CV and the other A-Series vehicles including the Dyane, Ami, Méhari and Bijou, and the commercial variants such as the Fourgonnette, Acadiane, and the H Van (although the latter is not technically an A-Series!). During the 1990s, when the 2CV was at the height of its popularity in the UK, membership soared to over 3,500. Once production ceased, however, and the vehicles are becoming fewer in number on the roads, membership has levelled off at around 2,700 members worldwide, showing there's still a lot of affection for the 'ugly duck' and its cousins. 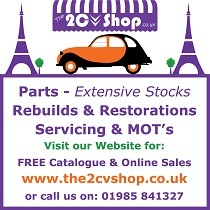 2CVs are a life-long passion, and many families are now on their second generation of 2CV owners! So, why do we exist? Well, apart from bringing the 2CV community together to enjoy our shared passion, the Club does important work in trying to ensure a future for these historic vehicles by sharing technical knowledge and ensuring continued access to increasingly rare spare parts. We keep an extensive archive of 2CV-related documents and we maintain registers to record the UK registered vehicles still in existence. We operate a shop selling Club merchandise and A-Series collectibles. We also offer a point of contact for the press, and are frequently asked to source vehicles for adverts and film appearances. 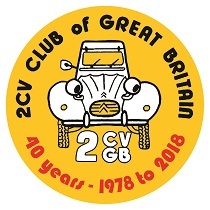 2CVGB is the UK National Club, forming an umbrella organisation for over 50 affiliated local groups, all founded and run by enthusiasts throughout the UK. Your local group is an excellent way to find out what we're all about. Most meet once a month in a pub somewhere, and always enjoy meeting new people for a good chinwag. You do not need to be a member of 2CVGB to go along to your local group. You can find your nearest local group and contact details on our interactive map. It's always a good idea to check with the local contact before heading along, as many groups organise events and convoys on their club nights, and might not always be meeting at their regular venue – especially at Christmas and during the Summer. 2CVGB is all about the pleasure of being out-and-about in your A-Series vehicle. There's a really lively social scene, with local clubs organising weekend camps and 'raids' to interesting places. One event that has become a 2CVing tradition is 'Raid Tan Hill', which braves the snowy conditions every January to go for a pint in Britain's highest pub. Whether you're into muddy fun 2CV 4x4 off-roading, long road trips to foreign countries in extreme conditions, or 2CV 24 hour endurance racing, you can find like-minded people amongst our members who have been there and done that – and will be happy to tell the tale over a pint or two! 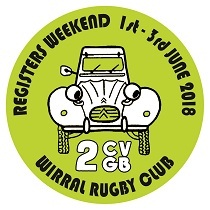 As well as events organised by the local groups, 2CVGB itself organises two major annual social events: The National Meeting and Registers' Day. 2CVGB also organises an exhibition stand at the Classic Car Show (Birmingham NEC) every Autumn. The National Meeting is the biggest social event of the 2CV year. Each year, a different local group volunteers to organise the event, so it is a great way to explore the country and see places you may not otherwise visit. Held over 4 days, there's always lots of entertainment with a licensed bar, bands, trade stands, a big convoy and plenty of A-series fun on offer. Recent years have seen 'Wild West' (Cambridge) and 'Roman-British' (Winchester) themes... but dressing up is entirely optional! We usually have about 400-500 people attending. Registers' Day is an entirely more sedate affair. This is the 'shine and show' event, where we encourage you all to get your vehicle looking as good as it can and bring it along to feature in the relevant Register line-up. Everyone votes on their favourite vehicles (with many categories – not just for the concours condition vehicles!) and you could bag yourself a Registers winner's trophy. This event always affords some great photo opportunities. Held on a Sunday in the Summer (this year it will be in North West of England), with camping available on the Friday and Saturday evenings before. 2CVGB is proud to be a member of the 'Federation of British Historic Vehicle Clubs' (FBHVC). The FBHVC is a grouping of some 350 clubs and museums together with over 1,500 trade and individual supporters. The aim of the Federation is to preserve the right to use old vehicles on the roads without any undue restriction and to support its member organisations in whatever way it can. By your membership of 2CVGB, you are helping to ensure that you can continue to use your classic car on the roads of the UK and Europe with as little modification and legal restriction as possible. Fed up with things not actually working they way the manual says they should? So were we, so we developed our 2CVGB Members' Handbook – a valuable addition to your Haynes manual, which includes technical data like paint codes and engine numbers, tips on servicing, common problems and travelling abroad. It is available for 2CVGB members to buy at just £17 (UK), £25 (Europe) and £27 (Rest of The World) - all prices include P&P. Our team of Registrars can help you with vehicle valuations (subject to sight of your vehicle) for insurance purposes, and can possibly provide you with information about the history of your vehicle, if a previous owner has added it to the relevant Register. 2CVGB is run entirely by unpaid volunteers. We have a committee of up to 15 members, with a few special advisors reporting to the committee, and a dedicated team of Registrars who keep detailed records of the vehicles still in existence. Please bear this in mind when contacting the Club's officers. We nearly all have day jobs as well, so we might not be able to answer your queries immediately – please be patient!